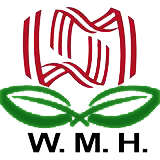 Mu Xiang Shun Qi Teapills-Mu Xiang Shun Qi Wan | Wing Ming Herbs, Inc. Ingredients: Angelica sinensis root, Magnolia officinalis bark, Aucklandia lappa root, Alpinia katsumadai seed, Atractylodes lancea rhizome, Alpinia oxyphylla fruit, Alisma orientalis rhizome, Citrus reticulata peel-immature, Evodia rutaecarpa fruit, Zingiber officinale rhizome-dried, Citrus reticulata peel, Poria cocos fungus, Pinellia ternata rhizome, Cimicifuga heracleifolia rhizome, Bupleurum chinense root, Activated carbon, Botanical wax, Talcum. – Dang gui, Hou po, Mu xiang, Cao dou kou, Cang zhu, Yi zhi ren, Ze xie, Qing pi, Wu zhu yu, Gan jiang, Chen pi, Fu ling, Ban xia, Sheng ma, Chai hu, Activated carbon, Botanical wax, Talcum.